2019 marks the 29th year of the TAFE NSW Gili Awards. Gili (pronounced 'kill-ee') is an Eora word meaning ‘to shine’ and is a very apt name for these awards, as the recipients are a shining example of excellence in Aboriginal education and training in TAFE NSW. Selected from across the State, the nominees highlight and celebrate TAFE NSW Aboriginal student achievements, as well as the innovative programs and dedication of TAFE NSW staff members that help empower Aboriginal people and communities every day. Peter Lalor, Manager of Aboriginal Employment Programs, NSW Police Force, epitomises TAFE NSW values. Peter was one of the driving forces behind the establishment of the Indigenous Police Recruitment Our Way Delivery (IPROWD) Program in 2008, and has been instrumental in leading the program successfully for the past 10 years. Peter’s leadership of the IPROWD Program over the past decade has garnered immense benefits for Aboriginal peoples and communities across NSW, as well as for TAFE NSW. Since 2008 more than 700 students state-wide have enrolled, with many going on to gain employment with NSW Police as sworn and unsworn officers, working in other government agencies, or gone on to further studies including Law, Teaching, Nursing and Justice Studies. 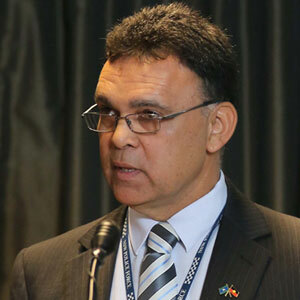 Peter’s personal commitment, exceptional advocacy skills and broad networks has been pivotal to successful outcomes for Aboriginal peoples, communities and for TAFE NSW. Folau (Paul) is a proud Gamiriloi man from Boggabilla, a small town on the NSW/Queensland border. 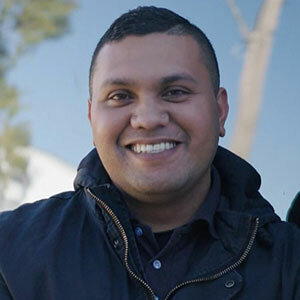 Folau was a student of TAFE NSW, completing studies in Dental Assisting through a scholarship with the POCHE Centre for Indigenous Health, and now mentors and organises the scholarships for all of the new dental scholars in the program. Folau plays a major part in ensuring that the scholars live the TAFE NSW values that he learned – that of demonstrating customer first thinking, excellence and integrity in everything he does. As part of his leadership role in the Central Tablelands Dental Program, Folau conducts numerous dental workshops in Boggabilla, Toomelah, Mungadai, Tingha, Moree and Inverell. Through witnessing Folau’s achievements, and his support, the completion rate of scholars entering the program is at an incredible 97%. His success and continued involvement in the program has a wonderful flow on affect through the community.